Local 700 City of Chicago member Marty Flynn received a five-figure check last week and it wasn’t because he won the lottery. It’s because he’s a Teamster. 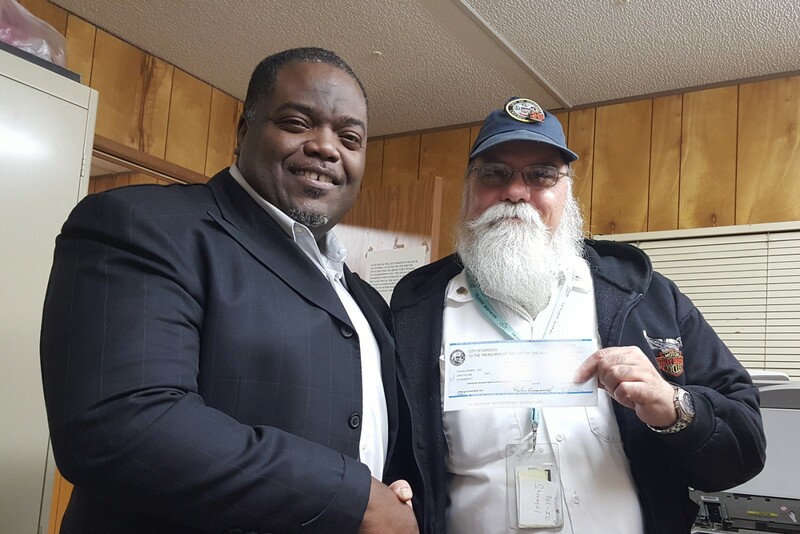 Flynn, an Auto Pound Supervisor in Traffic Services, received a big check last week from the City of Chicago because they failed to pay him his contractual raises for the last four years. Local 700 found the mistake after performing an audit of financial information from the city. The union immediately launched an investigation and filed a grievance on behalf of Flynn. One week later, Local 700 was notified that Flynn would receive a check for the back pay he was owed. Flynn received the check on Wednesday, Jan. 27.